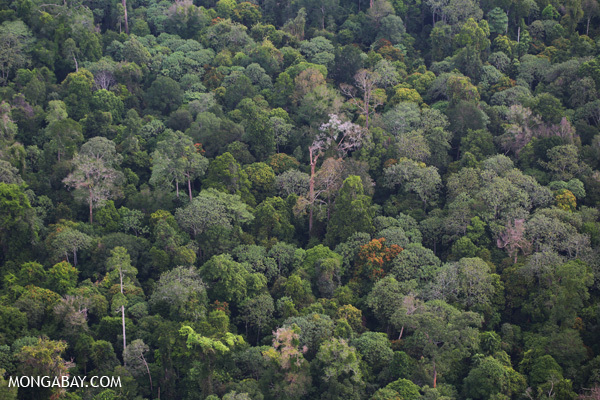 Weak spatial planning and law enforcement, land tenure problems and a lack of transparency in licensing are some of the issues highlighted in an annual report on forest governance the Indonesian Environment and Forestry Ministry presented to the president last week. The Forest Governance Index 2014, as it was packaged by the ministry and the UN agencies with which it assembled the study, gave Indonesia a “relatively weak” score of 35.97 on a scale of one to 100. The index also noted that Indonesia had made progress in recognizing the rights of indigenous peoples and restructuring licensing procedures. The ministry also worked with the UN-REDD Global Programme and the UN’s Food and Agriculture Organization on the index, which covers 24 regencies across 12 provinces. No Comments to "Forest Governance Index Shows Indonesia Has Long Way To Go"